Brian is a seasoned finance executive with deep experience in both real estate development and financial services. At The Menkiti Group, Brian serves as Executive Vice President. In this role, he is responsible for financing the company’s development projects and portfolio of real estate assets, managing the development team, analyzing potential acquisitions, efficiently allocating capital, investor reporting, and other strategic projects. Previously, Brian served as the CFO for Ditto Residential, a design focused real estate developer that builds condos and apartment buildings in Washington, DC. In this capacity, Brian was responsible for all financial aspects of the company including proforma modeling of new deals, raising debt and equity to finance the projects, managing the construction budget and loan draws, overseeing accounting, and investor reporting. As a member of the executive management team, Brian was involved in all key decisions, set the strategic direction for the firm, and managed a team of 12 development and construction professionals. Prior to Ditto, Brian spent eight years with Capital One executing mergers and acquisitions and managing a product development team. 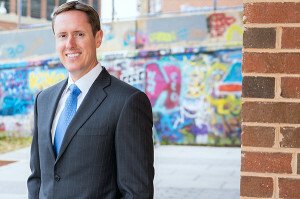 In these roles he led large, multi-functional teams through the financial analysis and due diligence of potential bank and credit card acquisitions, he negotiated term sheets and contracts with external counter parties, and he simplified the small business banking product suite by designing and rolling out a new line up of business accounts. Brian graduated from Stanford University with a degree in Economics and received an MBA from the Haas School of Business at UC Berkeley. A California native, he now resides with his wife and son in the Capitol Hill neighborhood of Washington, DC.